A bizarre debate is taking place about exactly what has happened in Egypt. Yesterday the army forcibly removed President Mohammed Morsi and his Muslim Brotherhood government from power. Today, commentators are asking, “Was it a coup d’état or a revolution?” This seems like wilful self-delusion. Coups are generally considered undesirable, unless the leader being ousted is a tyrannical dictator. This was clearly not the case in newly democratic Egypt. Under any normal circumstances, if an army overthrows a democratically-elected government and suspends the constitution, the action is widely condemned; US congressional rules forbid the continuing supply of aid in such cases. Coups in democracies are very bad things. And yet this coup is popular, both with millions of Egyptians and with westerners reluctant to see an Islamic movement in control of the most powerful Arab nation. Hence the unwillingness to label it correctly. So instead it gets called a “revolution”. Is that accurate? A simple definition of the word is: the forcible overthrow of a government in favour of a new system. That’s certainly true. Other definitions suggest that the overthrow is by the governed. It’s less clear that has happened in this case. While the army seems to have a fair bit of popular support, it acted unilaterally. Some have argued that a coup d’état is a violent act (which this wasn’t), but my dictionary defines a coup as a violent or illegal seizure of power. It’s hard to claim that the army action was legal under the constitution they have chosen to suspend. Moreover actual violence is rarely necessary when you have all the tanks and fighter jets. Others have argued that the democratically-elected Morsi had somehow forfeited his right to govern because “he didn’t uphold his election promises” and “he failed to heed the will of the people” and “he did not cooperate with the opposition”. Those complaints could have been levelled against many a British prime minister or American president; they are hardly justifications for military overthrow and they certainly don’t change the fact of the coup. 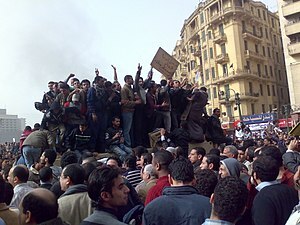 What happened yesterday in Egypt was undeniably a coup d’état. By some definitions it might also be called a revolution. With such loaded competing truths battling to shape reality in Egypt, it’s little wonder that British Foreign Secretary William Hague preferred to call the event a “military intervention”. Former US Ambassador to NATO Kurt Volker challenged Evan Davis on the BBC’s Today programme this morning over his characterisation of Edward Snowden. “He’s not a whistleblower, he’s a criminal,” he declared. 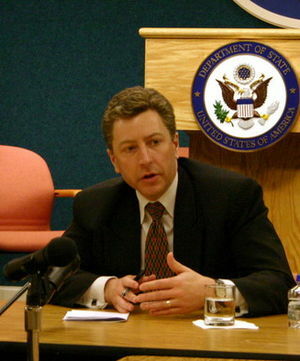 Volker, like the US Administration, is doing his best to shape reality in the face of considerable international outrage over revelations about NSA bugging operations. But of course Snowden is both a whistleblower AND a criminal (assuming he has indeed broken US law). Two competing truths to choose from, depending on your point of view. The only non-truth was Volker’s assertion.